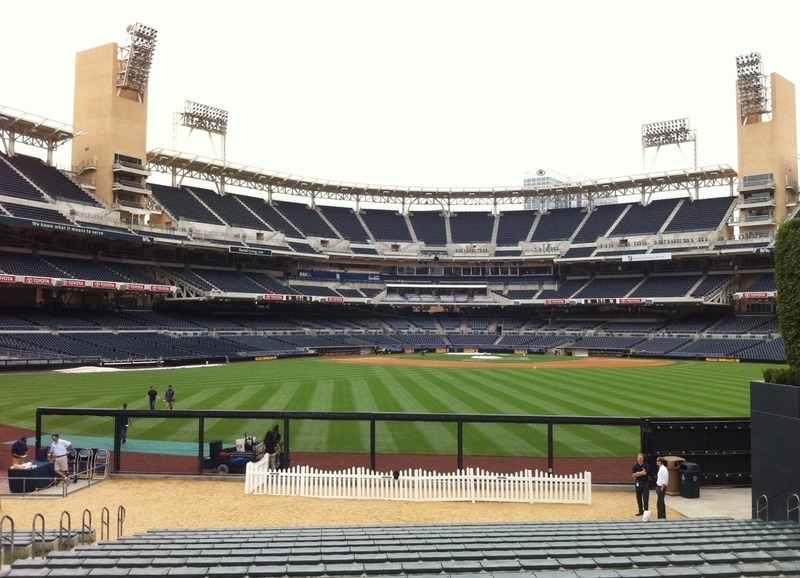 I spent the last few days in San Diego close to the local baseball park and I decided to take a stroll in the area. No game was being played there on the day I visited, but parts of it was open to the public like this vantage point. During game day, I imagine you can stand here and watch a game for free. I like how they decided to convert the back of this old building to be part of the stadium. Actually, the building was declared a historic landmark in 1978 and could not be torn down. This is the big sign outside so there is no mistake where you are. 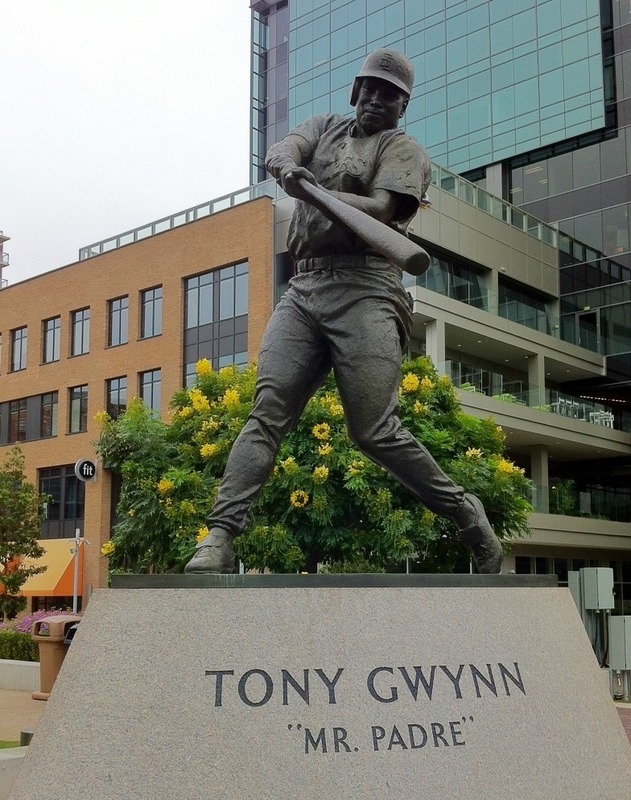 This 9-1/2 ft. (2.9m) bronze statue located next to the ballpark was dedicated to him in 2007. 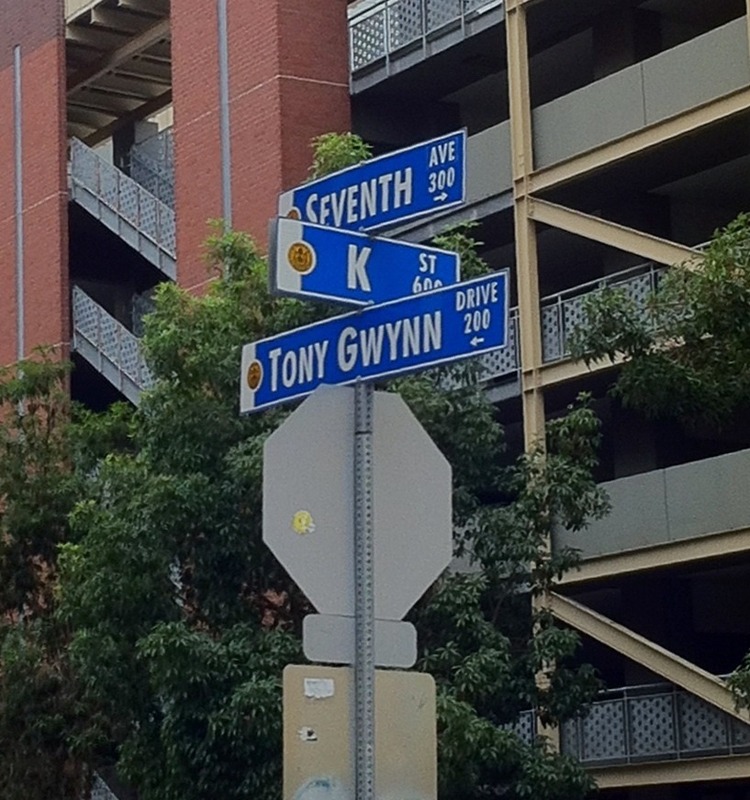 Even the street next to the park is named after him plus the stadium's address is 19 Tony Gwynn Drive to honor his jersey number. I seldom visit a stadium but it must be fun. The way you did the photos is like a photo diary. Very interesting and easy to follow. Thanks for the wonderful post about baseball place. I am the typical not well when it comes to sports since high school. 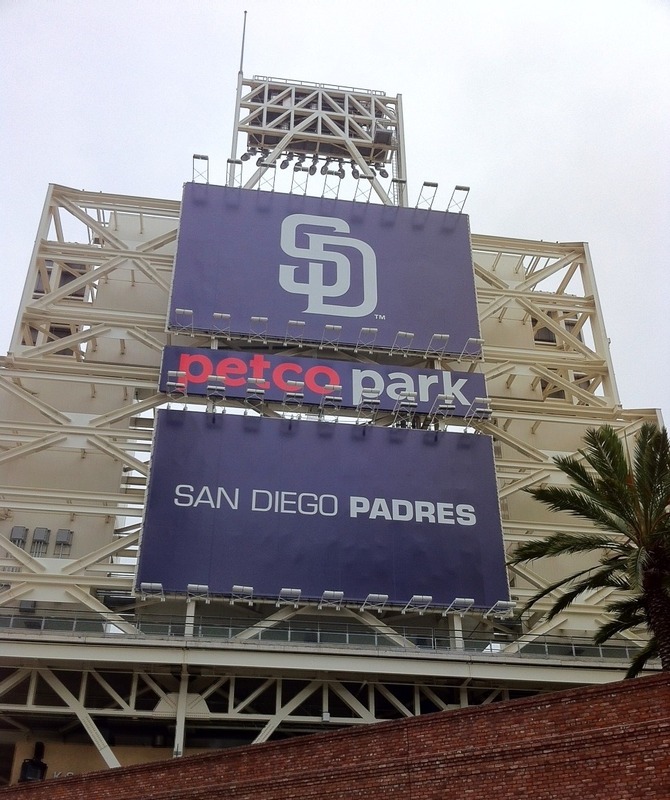 really such a big sign that tells where you are :-) love that Tony Gwynn shot! How great it would be to have a street named after you. Thanks for this virtual tour...I wish I could someday visit the place with my kids! 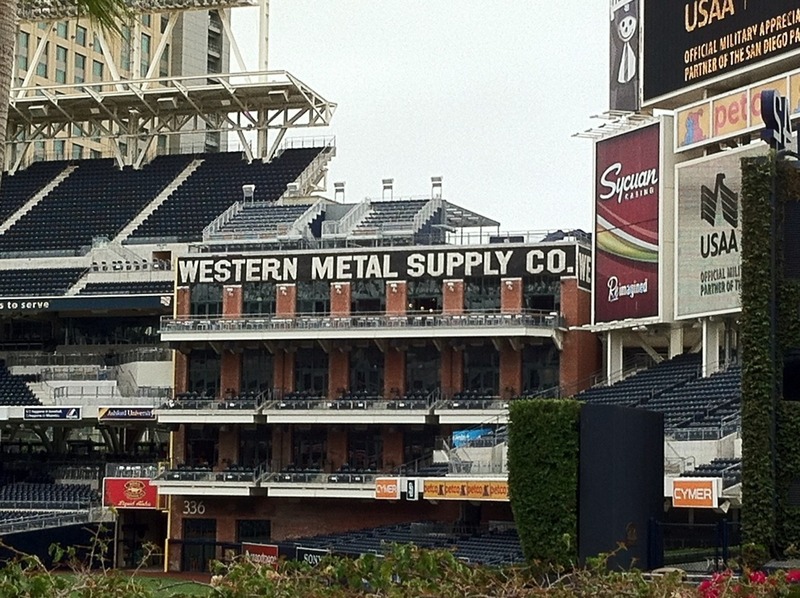 Looks like a good place to visit as part of a walking tour of downtown San Diego. The only time I ever went there it was pouring heavily with rain! One of the streets will be named after you if you are famous enough. Let's start giving your blog many many many traffics. I am no baseball fan but I would love to take a look at this gigantic stadium. Happy weekend! I love all your posts.. keep on blogging! Great looking ballpark, love how the old building is part of it. Adds real character and atmosphere. Nice pictures. I would like to see a game once but we don't play it a lot in Europe. Wow - I have only seen the outside of the stadium, I had no idea the inside was that cool. Thanks for the tour. Cocomino: I seldom visit stadiums or see sporting events myself, but it is interesting to visit one in another town. I really like how this one has a public park area so you don't have to pay to see the game. James: Thank you for the compliment. I like the simple format to have it easier for everyone to read. kulasa: What an honor it must have been for Mr. Gwynn to have a statue of himself and a street named after him. Jenny: I hope you get a chance to visit again when the weather is better. rainfield61: Thank you for the wish, but I don't think I will ever be that famous. EastCoastLife: It is fun to stand in the middle of the stadium to really get the feeling of its enormity. Sue: Thank you for the compliment!!! llandudnopictures: I agree, I think I would like to sit in that section, but I wonder how good is the view of the field. Filip and Kristel: Maybe when you visit the U.S. again, you can see a game and visit the amusement park. La Principessa Errante: It's open to the public and if you really want to see it in-depth, you can pay to get a tour.